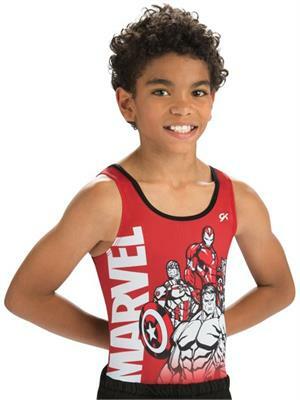 Home | Discount Leotards ™ > Gymnastics Boy's Men's > MV018 Marvel Super Hero Captain America Hulk Iron Man Thor © Boy's Men's Gymnastics Competition Shirt Tunic. MV018 Marvel Super Hero Captain America Hulk Iron Man Thor © Boy's Men's Gymnastics Competition Shirt Tunic. Wow the crowd in this Marvel Avengers inspired classic competition shirt featuring unique Marvel logo and character design sublimated on polytek with black techmesh back panel. Pilling may occur on PolyTek and SubFuse Sublimated fabrics when it comes in contact with any other rough surface, examples are mats, grips, floor mats, etc. 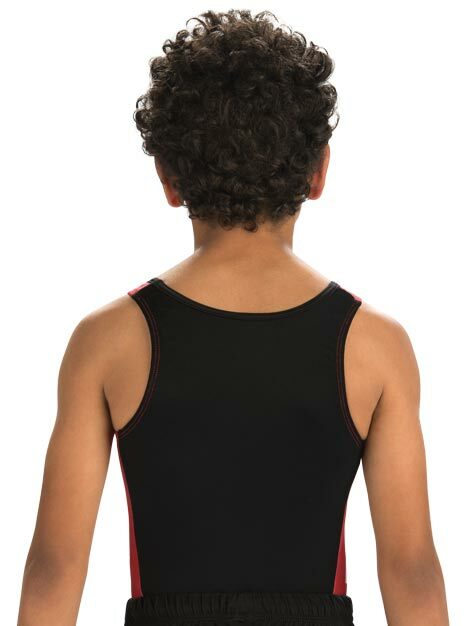 The back/bottom area of the garment tends to pill easier than other areas. Unfortunately this is an issue we cannot avoid due to the nature of the fabric. Elite Sportswear will not be responsible for replacing or repairing your garment if pilling occurs.